Looking for a new home, or need to sell a one? Maybe you are in investor looking for a great deal on a home in the Dallas Fort Worth area. Let me help you find the perfect property. I specialize in homes located in the heart of Dallas Fort Worth, including: Lantana, Highland Village, Argyle, Lewisville, Flower Mound, Coppell, Denton and surrounding North Texas cities. Need to list your home? Keller WIlliams Metro North is the top agency in the area! We have a team of almost 200 agents active in the North Dallas Forth Worth area. You don't just have a single agent, but a large team helping to get you to SOLD status in the shortest time possible. Investors for North Texas, there are some great deals in the market. Let me send you automatic updates on properties matching your criteria. A SPECIAL NOTE TO 1st TIME HOME BUYERS! Take advantage to the stimulus plan that gives you $8000 of tax free money that you do not have to pay back. Want details on this plan, just call me and I'll send you free information on how you can get into your own home and stop renting. Kimberly Windle utilizes the latest technologies, market research and business strategies to exceed your expectations. More importantly, we listen and that means we find solutions that are tailored to you. Thanks for starting your real estate search with us. 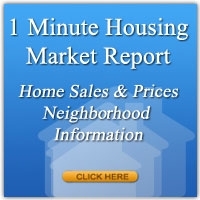 This website is full of information for you whether you are looking to buy, sell or invest. We Love our Heros! Are you Firefighter, Police, Teacher, Military or Medical heros? Give us a call and let;s talk about how we can save you $$$$.